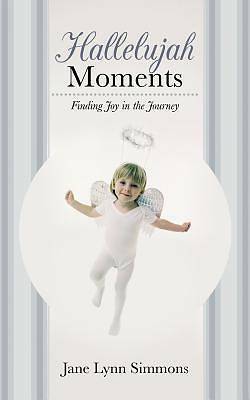 Finding it difficult to be joyful in your journey of life? Do moments worthy of a rousing "hallelujah" seem to elude you? In her first book, Jane Lynn Simmons shares stories from her own personal journey that are oftentimes poignant, sometimes humorous, and always inspirational. Within these pages, you will find a collection of diverse short stories, each accompanied by a few "thoughts to ponder," designed to help you look beyond the obvious and discover your own "hallelujah moments." Open the book to meet a unique collection of folks whose stories are sure to leave you finding hallelujah moments every day of your life.